A Thai court approved the request to drop extradition proceedings, according to Chatchom Akapin, director general of foreign affairs for the Office of the Attorney General. Chatchom said that Al-Araibi must now be released as soon as possible. Al-Araibi was arrested and detained last November, while on his honeymoon in Thailand, at the request of the Bahraini government. The player fled Bahrain in 2014 and now plays for semi-professional Melbourne-based club Pascoe Vale. 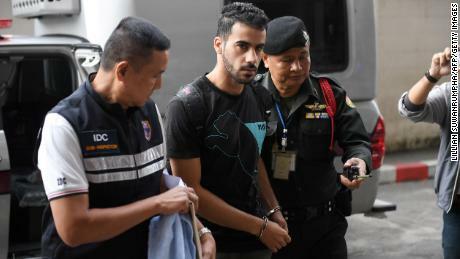 Activists campaigning for Al-Araibi’s release said that the footballer should never have been detained; an international warrant was issued for Al-Araibi’s arrest although such red notice requests are not meant for refugees. In 2014, he was sentenced to 10 years in absentia for the vandalism charge. He fled to Australia where he was granted refugee status in 2017.